Listen to the world’s most passionate and devoted leaders. 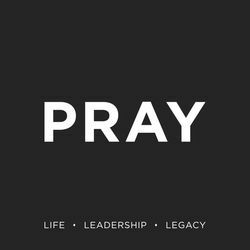 In “Life, Leadership, and Legacy” by Pray.com, we get an exclusive look into the stories, experiences, and lessons learned that make these people some of the most influential leaders on earth. Join us as we discover how these respected leaders overcome vast obstacles and defeat the odds by turning massive challenges into success. Learn from their experiences and apply them to live a better life. Listen and subscribe now to the best Christian podcasts today from podcasters just like Pray. These popular Christian podcasts are available to listen to and download for free on Faithplay. Faithplay is filled with more episodes from Pray and other top Christian podcasts. Download Faithplay today and start listening!